Kununurra in Australia is a lively, booming town on the eastern edge of the Kimberley. According to the Mirima Language Centre the name is based on the Miriwoong word "Goonoonoorrang", which simply means big water. 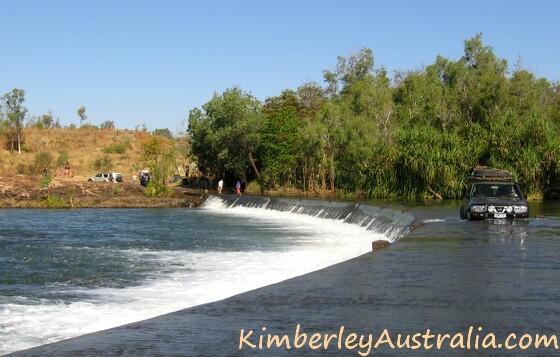 Ivanhoe Crossing near Kununurra, a great place to relax and to fish. 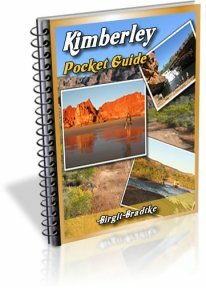 You will also find information claiming that Kununurra in the local Aboriginal language means "The Meeting Of The Big Waters". An appropriate name indeed, as water is the most noticeable feature of this region. However, the traditional owners of this area obviously prefer the correct translation. 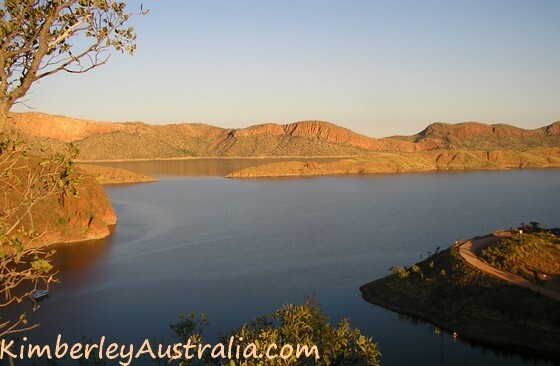 This photo does not show the huge expanse but the tiny inlet where you access Lake Argyle. I avoided the term "tourist attractions", because after eighteen years here I can assure you that Kununurra is also a very attractive place to live. 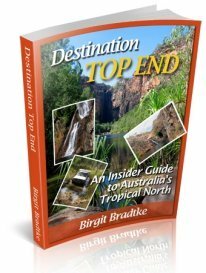 read what other readers think of Kununurra . No matter which way you drive or look, the beauty of this region is astounding. After all these years here I can honestly say that I haven't got used to it one bit. 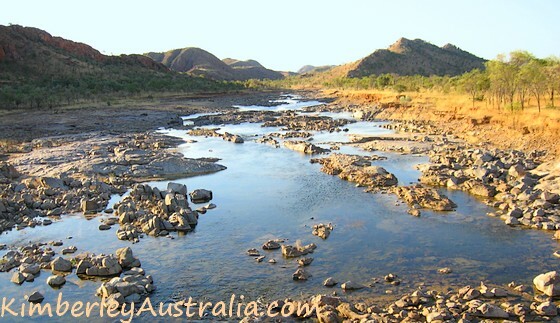 Evening light at Spillway Creek, between Kununurra and Lake Argyle. So please, come in and have a look around. Welcome to my home town and the East Kimberley. 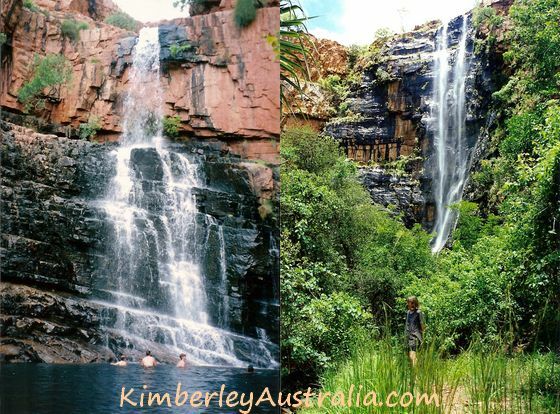 The best time of the year to see the waterfalls is the wet season, or shortly after. But there are plenty of permanent rock pools here to go for a swim any time of the year. 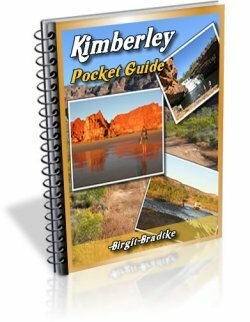 Some overview maps the Kimberley, and an excellent printable street map of Kununurra that even highlights and describes all the attractions. 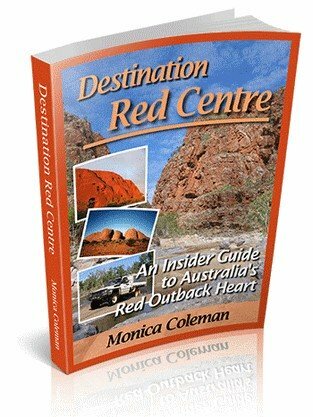 Considerations when looking for accommodation in Kununurra and booking recommendations. 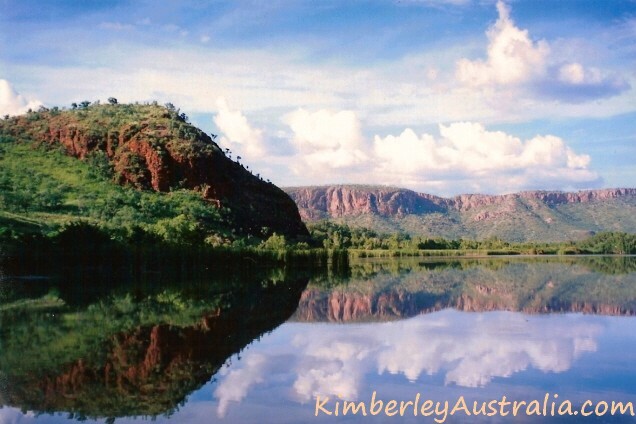 What Do You Think About Kununurra? Do you have a story, a picture, or a tip to share? Tell others about your trip. Show off your photos. Enter the title of your Kununurra story or tip. I know you said Andy's Chasm is a wet season destination, but do you think that it would be ok at the end of July? Am I too optimistic?